Here, refer to the maximum and minimum value of the sampled variable x in the full data set . 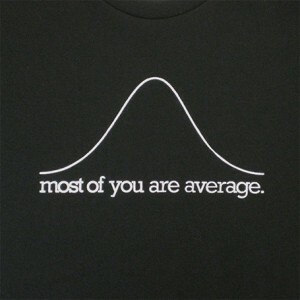 Many of the above “averages” have their own relative importance in the theory of Statistics. But that will be the topic of a future blog post handling statistics and its applications. What average do you like the most? Are you “on the average”? Are you “normal”? 😉 Of course, you can consult your students, friends or family if they prefer some particular mean/average over any other in their grades/cash sharing, or alike :). See you soon in other blog post!